Blog News - Responsive and SEO Optimized Blogger Template This is another blog style news template from MS Design. If you running any blog style site then Blog News Template is perfect for you. This fully responsive, 100% SEO Optimized and Super fast blogger template. Blog News blogger template, it has some simple and awesome features, like share button on homepage, Responsive ad slots, Author bio box and etc. 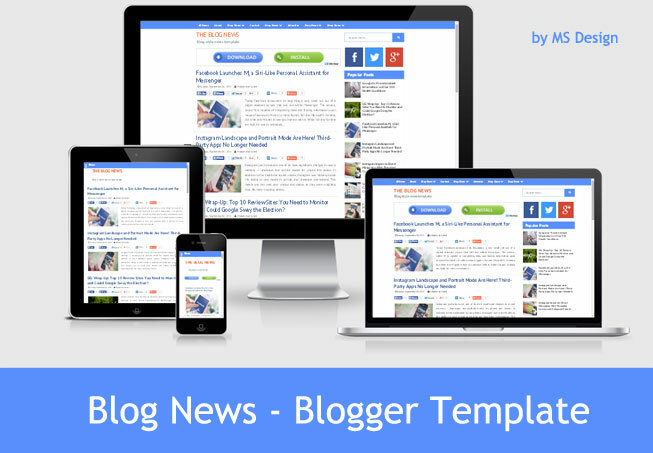 Blog news is super fast blogger template. Responsive design for all device. Free version is open for all but if you choice it the buy full version. Now lets see some awesome features of this template. The blog news template is a fully responsive blogger template. This is compatible with all device. Visitors are easily browse this template from any device. Blog News Blogger template is 100% SEO Optimized blogger template. SEO Optimization is most important fact in every blog. For better SEO Results, SEO Optimized blogger template is most important. We added all SEO Optimization in our all blogger template. Blog News is another one. See the Blog News SEO Score. Blog News has easy admin panel for better experience. 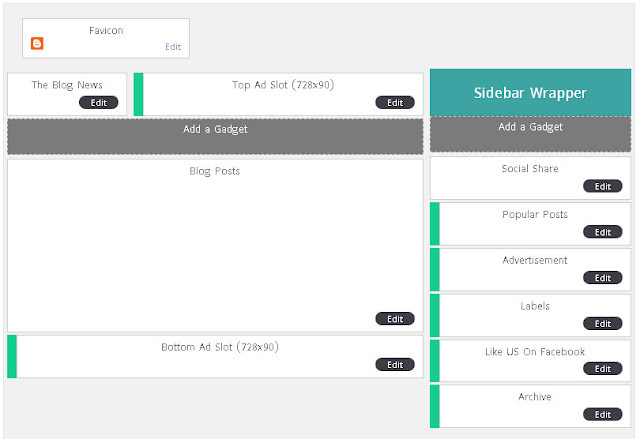 You can easily customize our all blogger template with our dynamic and easy admin panel. See the below screenshot and get a basic idea about our dynamic admin panel. Isn't thehackernews.com template from years? thanks dera, i really love this. Please the problem am having now is that i didn't see the comment box for blog in desktop, i only have facebook comment. how can i solve the problem please help me. i know facebook comment is template, how can i add the blogs comment? Desktop Version a Blogger Comment Box Show kore na keno? You know, Facebook banned on Bangladesh? না আসলে ফেসবুক কমেন্ট বক্স দেখাচ্ছে কিন্তু ব্লগার কমেন্ট বক্স(ডিফল্ট) ডেক্সটপ ভার্সন এ দেখাচ্ছে না!! কিন্তু মোবাইল ভার্সন এ দেখাচ্ছে!! How can i show posts by label on the sidebar?